This is another post by A.L. Fox, my talented guest writer. This time she has written about three different cinemas in two different countries she has visited this summer. There’s more to the cinema experience than simply absorbing the themes and colours that stimulate the senses from the screen, and hopefully stir our emotions – in a good way. Many of us still visit the cinema to watch a film even though we can generally view most films from the comfort of our own homes. So why do we continue to go out to see a film? Often, it is to be sociable and share an experience with friends or a loved one or sometimes, that we want to be the first to see a new blockbuster release or, on occasion, to be challenged by new worlds and ways of seeing. There are many demands on our leisure time these days, and we have screens wherever we go, whether it’s a phone, a tablet, or a laptop but we still go to the cinema. In this century, around 150 million people still visit the cinema every year in the UK. Of course, this is a considerable drop from the 1.5 billion that went in the heyday of the Second World War. But now there are so many different ways of watching a film. With so much competition for our eyes, cinemas have become much more than just a screen; they are places where you can eat, play video games – and eat mountains of popcorn. Most are multiplexes offering 3D and a very different experience from the cinemas of old. Now you book online, choose a seat, collect your ticket from a machine and don’t have to speak to anyone. It’s not quite the same everywhere in the world, though. America is the home of cinema and there will probably be as many different cinemas as there are States but going to the cinema in New York is like stepping back in time. We were in the Big Apple when Mamma Mia: Here We Go Again opened so, naturally, we had to go. Bizarrely, the weather wasn’t as hot as we’d been led to believe; it rained and so that was another factor in our decision. The AMC chain is the biggest US cinema chain but the one on W 34th St felt as though it remained untouched since it opened in the 50s. First, we had to get to the 4th floor; there were the usual food stalls – and popcorn but also, gambling machines. We bought our tickets, and chose a seat; on the screen there were gaps between the seats – and, in the cinema, the seats were in pairs with a large table – for the food, between them. Sitting down, there was another surprise for there were acres of room between the rows. People were able to walk without asking others to move. Unsurprisingly, people didn’t stop eating throughout the film and American audiences aren’t exactly quiet; they do like to voice their opinions, or add their viewpoint to the action. For the record, Mamma Mia: Here We Go Again was enjoyable – the beginning was a little flat but once the cast hit their stride about 30 minutes in, it became more like the first film – and that’s exactly what audiences were expecting. The film delivered but it wasn’t quite a match for the original. Now that sounds like a criticism, but it’s not meant as one. It is simply that the first film was so iconic. A special appearance by Cher was successfully woven into the plot and she provided enough glitz to offset the absence of Meryl Streep, although there were some scenes featuring Streep, so she wasn’t entirely missing. Most of the other main characters from the first film had major roles in this one with the addition of a young Donna (Lily James) and her Dynamos (Alexa Davies and Jessica Keenan Wynn) plus younger versions of Sophie’s three dads (Jeremy Irvine, Josh Dylan and Hugh Skinner). Now, talking of original – the Regal, the second cinema we visited in New York, on W 42nd St was definitely like stepping into the 50s again. Here, the seats were black leather armchairs that extended to support your feet, almost to the point of becoming a bed. The carpets had the letter of the rows woven into it and the decor hadn’t been touched for decades. 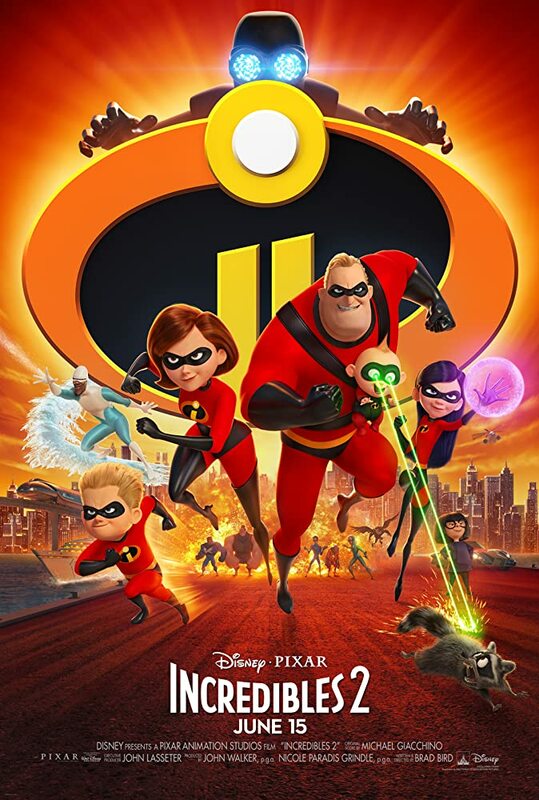 Here, we saw Incredibles 2; a film that had been on general release for some weeks so it wasn’t busy. We did get the noise of audience participation once again, and it was loud – the sound turned up to echo over the comments. As for the film itself, it was definitely worth watching. It had all the impact and colour of the first film with an updated plot to reflect changes in society. This time, it was Elastigirl or Helen Parr’s time in the spotlight. She went to save the world while Mr Incredible became a stay-at-home dad. As ever, the action was fast-paced and attention-grabbing for both children and adults. The animation was brilliant and shows that Disney Pixar is not just for kids. Both experiences were good; if you get the chance to visit either of these cinemas then take it; a different experience but a good contrast and it makes you appreciate the relative quiet of British audiences – unless, you’re unfortunate enough to sit next to the person who never stops eating. There are people who believe calories consumed in the dark don’t count as they munch continuously for the length of the film and that can be a big distraction but then, it’s all part of the cinema experience. And what’s still part of the cinema experience in Turkey is – the intermission. Yes, they have a break in the middle of the film! We were watching Mission Impossible – Fallout 3D – and, at a particularly tense moment in the action, the screen went dark. An electrical fault? No, it was an interval. People went out and returned with more food, it may even have been a break for the smokers but it was only one hour into the film and it did break the flow. The MI films are all fast-paced with plenty of action; there are no slow sections where a break could be achieved without interrupting this flow so it did spoil the experience – for me, at least. We didn’t mind the subtitles – some Hollywood films are dubbed but most are shown in English – but that break did upset the concentration. However, even though this is the sixth film in the franchise, it still captured the hearts and minds of the audience with a good story, death-defying stunts and enough dialogue to explain the plot points. 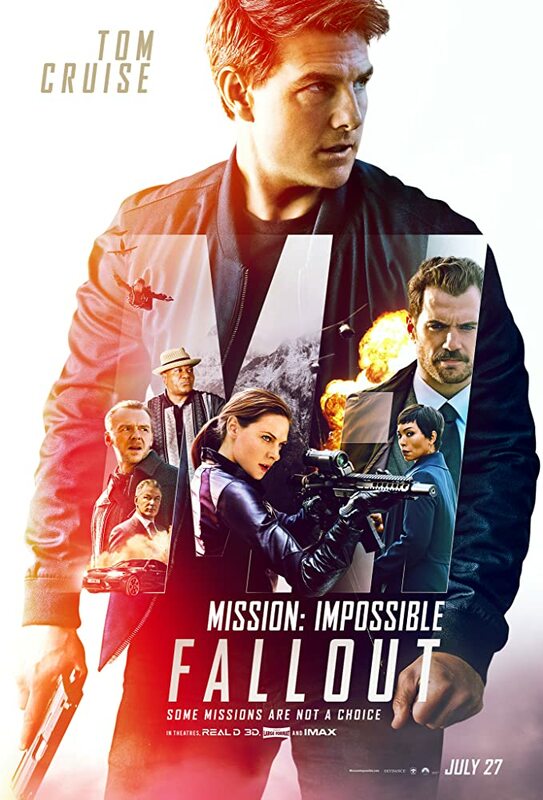 Tom Cruise playing the lead Ethan Hunt was brilliant as always and supported by a sterling cast featuring Simon Pegg, Ving Rhames, Henry Cavill, Rebecca Ferguson and Alec Baldwin. Three films, three different experiences; if you do get the opportunity to visit the cinema in another country then go – it may even make you appreciate what you have at home. As for costs, in the US we paid about £10/£12 for each ticket and in Turkey, we paid a bit less but, in terms of comparable costs relative to the country, tickets are much the same price. This entry was posted in Actor/Actress, Analysis, Film and tagged 3D, A. L. Fox, ABBA, action, Alec Baldwin, Alexa Davies, Amanda Seyfried, AMC W 34th St, america, American Cinema, Animation, Cher, Christine Baranski, cinema, Colin Firth, Dash, Disney/Pixar, Dominic Cooper, Donna Sheridan, Dynamos, Edna Mode, Elastigirl, Ethan Hunt, film, Frozone, Guest Writer, Helen Parr, henry cavill, Hugh Skinner, IMF, Incredibles 2, Jack Jack, Jeremy Irvine, Jessica Keenan Wynn, Josh Dylan, Julie Walters, Lily James, Mamma Mia: Here We Go Again, Meryl Streep, Mission Impossible - Fallout, movie, Mr Incredible, Musical, New York City, Pierce Brosnan, Rebecca Ferguson, Regal Cinema W 42nd St, Simon Pegg, Sophie, stellan skarsgard, Summer Films, Tom Cruise, Turkey, UK, US, USA, Ving Rhames, Violet. Bookmark the permalink.